Once more Christmas came and went in a blur. The build-up was hectic, with extra church meetings of one kind and another, as well as the usual preparations for the Big Day. The follow-up involved family visits to Wales and London. My mum was meant to be joining us for Christmas, but my attempt to pick her up from Bassaleg had to be abandoned due to a Great Flood at Bradford on Avon. Good to have Jonny back with us on Christmas leave from Nottingham University. We had some encouraging times at church, with a number of visitors at the Providence Carol Service. In the three Sunday morning services leading up to Christmas I preached on John 1:14, The Divine Identity, Real Humanity and Stunning Glory of Jesus (here). 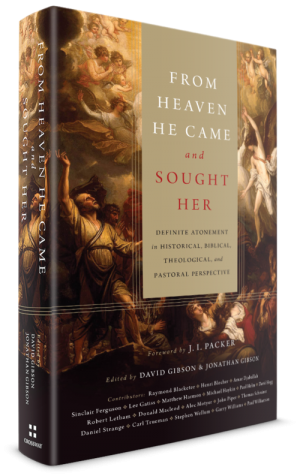 Among my Christmas pressies (mostly clothes - as modelled above) was the recently published, From Heaven He Came and Sought Her, on definite atonement, edited by David Gibson and Jonathan Gibson. That should give me something to get my teeth into as 2014 unfolds. I also took advantage of Amazon's sale to download God's Philosophers, by James Hannam, for only 0.99p. My main reading task for 2014 will be finishing Volume Four of Herman Bavinck's Reformed Dogmatics. After that I'll be free to make a start on The Christian Faith: A Systematic Theology for pilgrims on the way, by Michael Horton. I've been enjoying Charles Hodge: The Pride of Princeton, by W. Andrew Hoffecker and am about 2/3 of the way through. We had a lovely time at Longleat Safari Park on Boxing Day thanks to a friend who gave us complimentary tickets. We did the safari drive and got pretty close to the wildlife. The big cats seemed more lively in winter than we have found them in the heat of summer. The pantomime theme in Longleat House was fun, bumping into Prince Charming and Cindarella, Scrooge and various other characters. Oh yes, we did. For the the last Sunday in 2013 I preached on 'Now is the accepted time', 2 Corinthians 6:2 and 'Redeeming the time' from Ephesians 5:16. Yesterday afternoon Sarah and I went to see The Hobbit: The Desolation of Smaug. I enjoyed it better than The Unexpected Journey. We saw the first film in HFR 3D. The visual effects freaked my brain. Mainly because at least to me, the medium makes the characters look hyperrealistic against a rather static-looking background. Much better in good ol' 2D. Still, not sure that the director to wise to try and squeeze three films out of the original source material. But the cliffhanger ending made me want to see the concluding episode in December, even though I know what's going to happen next. The Hobbit was the last bedtime story I read to Jonny and Becca, so it is still relatively fresh in my mind. As much as anything is fresh in my mind these days. We saw the New Year in with friends in Bulford, Wiltshire, which was nice. I was joint-winner of Dixit, a board game I'd not played before. Far be it from me to boast. Today had been quite quiet thus far, which is nice so I was able to catch up with some non-theological listening/reading. 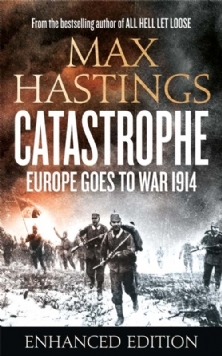 A while back I downloaded Catastrophe: Volume One: Europe Goes to War 1914, by Max Hastings. It was a freebie sweetener from Audible.co.uk. I'd not listened to an audio book before, but gave it a go earlier today. I prefer reading to listening when it comes to books, but the scene-setting introduction and prologue were well interesting enough. A bit difficult to absorb all the information without being able to pause and review the text, though. Still, shouldn't look a gift horse in the mouth, I suppose. I downloaded Seamus Heney's Beowulf when the poet's death was announced back in the summer. At the time I managed to read little more than part of the introduction, but today began to make progress on the epic poem itself. Beautifully translated; the verse crisp and clear, the narrative gripping and exciting. Heaney, Seamus (2009-02-19). Beowulf: A New Translation (Kindle Locations 521-534). Faber and Faber. Kindle Edition. I know not what else 2014 has in store, but at least I won't be sort of stuff to read, which is something.